Chocolate will increase hyperactivity in dogs. A lot of chocolate would affect the heart, dogs can suffer seizures and death. Because chocolate has caffeine and methylxanthines. 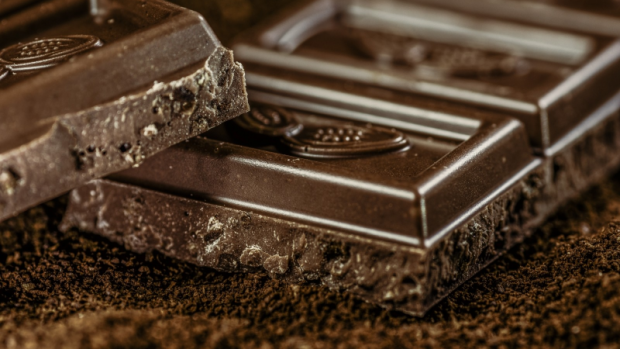 ( C7 H8 N4 O2 ) that are very harmful to dogs, 2 substances collectively called Xanthine (C5H4N4O2) and they are exist in milk, dark chocolate, but it is fine when white chocolate has almost no methylxanthines. Dogs start to show signs of health problems when eating an amount of milk chocolate brown about 20 mg per kilogram in body. If the dose exceeds 40 mg per kg in body could affect the heart, 60 mg could cause coma and above 100 mg can be fatal for dogs. After eating grapes or raisins, dogs could develop kidney failure. Dogs will be shocked, vomiting in some cases. Symptoms of kidney may take at least 2-3 days to show up. 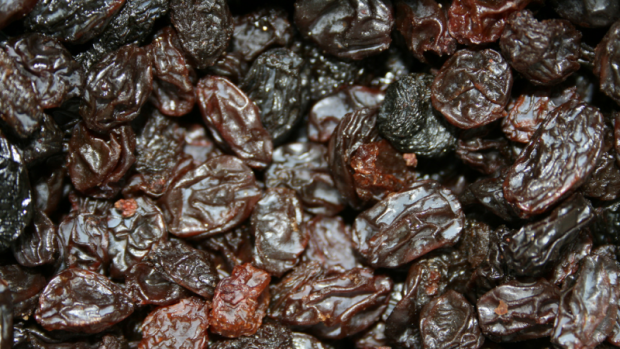 However, some dogs die after eating raisins, but some show no signs of health problems after even eating 1kg of raisins. So it has not been determined what toxic component of grapes can harm dogs. The best is that we should not let dogs eat fresh grapes raisins. If your dog accidentally swallows gum, you have no worries ‘cos its body has the ability to excrete it, but the problem is not the gum, it’s xylitol - a sweetener, used as low calories sweetener in gum and sugar-free foods. 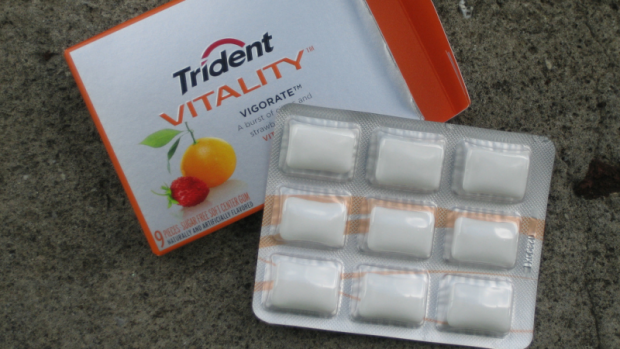 However, when dogs eat gum, it lowers blood sugar quickly in just a few minutes, the dog appears to be tiredness, lethargy, difficulty walking… Depending on the amount of xylitol of different brands, chewing gum with xylitol type 1 tab for a 10kg-dog could cause hypoglycemia, eating 5 will cause damage to their liver. When eating onions, shallots and garlic, the dog will get vomit, abdominal pain and diarrhea, the cause is in these plants contain a small amount of sulfur (S). Eating a lot of garlic, with a dose of 15 - 30 g in 1 kg of body, sulfur can destroy red blood cells, causing anemia in dogs. 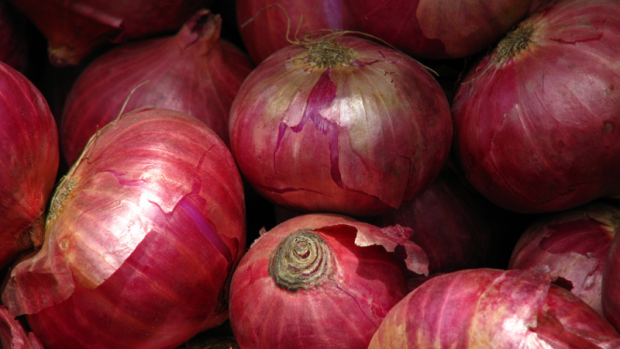 Sulfur in onions is not destroyed by cooking fried process, so it is better not to contain it in their foods. 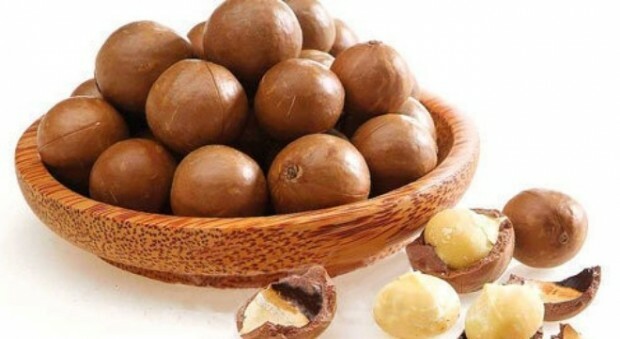 Macadamia nuts can cause the following symptoms: weakness in 2 hind limb, nausea, and trembling body. Symptoms can occur within 12 hours after dogs eat macadamia so it’s too long for us to determine what the dogs previously ate. It is thought that inside macadamia exists a fungus harmful to a dog's digestive system, causing the above-mentioned diseases. Some types of small dog can get problems when eating about 3 macadamia nuts.